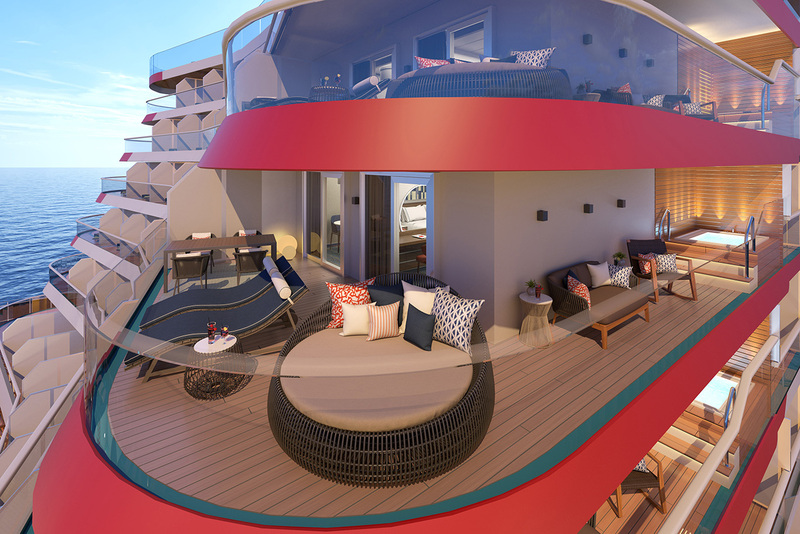 Carnival Excel will include 32 luxury new suites, all of which will have access to the ship's brand new resort-style, open-air enclave, called Loft 19. Carnival Excel Presidential Suite: Located on Deck 17, the two Presidential Suites will be the largest in the fleet and will feature spacious living, dining and sleeping areas, along with the fleet’s most expansive balconies with vast sea views, large sunbed and lounging areas, as well as a private outdoor hot tub and shower. These suites also include access to the spa’s thermal suite and the Havana pool area. Carnival Excel Aft Suite: Boasting separate living rooms and bedrooms with large wraparound balconies, these 12 suites offer impressive ocean views, as well as a private outdoor hot tub and areas for al fresco dining. Carnival Excel Corner Suite: Twelve suites on the port and starboard sides of the ship featuring separate sleeping and lounging areas, a wet bar and wraparound balconies with lounging and dining areas. Carnival Excel Suite: Six suites on Decks 10, 11 and 12 with sleeping, dining and relaxing areas. The spacious balconies include loungers and a dining area. 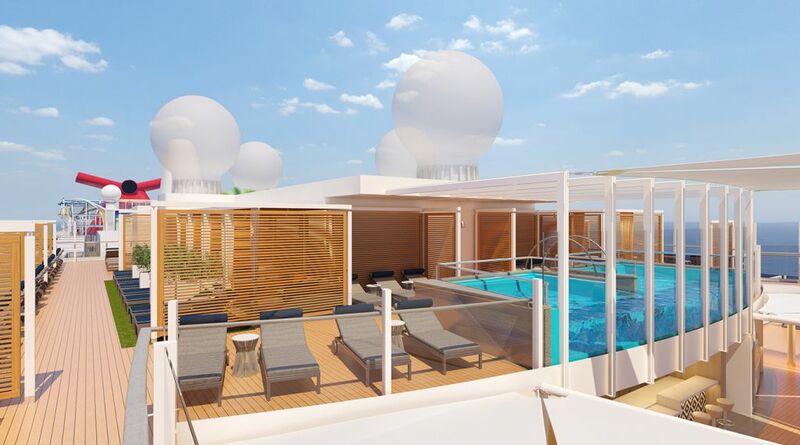 Guests staying in the suites will be given special amenities packages, which include priority boarding and debarkation, priority main dining room seating, complimentary room service and laundry. Additionally, they will also have access to a new resort-style, open-air enclave, christened Loft 19. Located on the ship’s highest deck, this is a brand new concept for the cruise line. Inspired by the world’s finest resorts, this private area will comprise a full bar service, dedicated concierge service, private pool surrounded by sun loungers and spacious cabanas. While any guests can reserve cabanas, priority will be given to Carnival Excel suite guests. Additional suite options on board Mardi Gras include Ocean Suites, which feature separate sleeping and lounging areas; Tropics-inspired Havana Suites, with private patios and direct access to The Lanai; Family Harbor Suites, featuring a nautical decor and toddler benches, and Cloud 9 Spa Suites, which have special spa privileges such as two fitness classes and access to the ship’s Thermal Suite. In other news, Carnival also announced that Mardi Gras will debut the seagoing version of the iconic TV game show Family Feud (what we in the UK know as Family Fortunes) as part of the ship’s eclectic entertainment line-up, along with the first rollercoaster at sea, which was announced at the end of last year. Mardi Gras is scheduled to embark in Europe on 31 August 2020, before repositioning to New York for a series of voyages. It will then move to Port Canaveral for year-round seven-day Caribbean cruises, commencing October 2020.